We love Instagram! Do you use it? For business or pleasure? A new feature could soon change the way we view Instagram! Your Instagram photos are about to get even more personal. 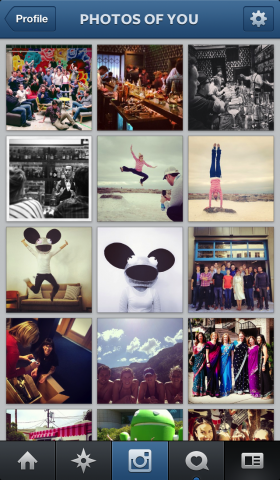 It’s two things, primarily: One, it’s pretty much the introduction of photo tagging to Instagram. Take a picture of yourself and some friends, and you’re able to stick their name inside your photo via their Instagram handle. Sorta like the way you stick an @mention in the caption, only this @mention lives inside the picture itself. Tons of privacy arguments to be made here, I’m sure, which I will let my other colleagues in the Fourth Estate handle. What’s most interesting to me, for the moment, are the potential implications for brands and businesses who use Instagram. Say I’m Nike, one of the brands with a large presence on Instagram. Normally, I’m curating my Instagram stream to show off the best products I sell. You follow my Instagram account and see the cool stuff I have for sale. Hurrah. Photos of You, however, essentially gives a brand the ability to crowdsource photos of its products — likely put to use — from the millions of people who are on Instagram and taking pictures all the time. So, basically, if I’m Nike, I could potentially get tons of free content for my Photos of You tab, all courtesy of the rest of Instagram. Fascinating! Although it’s admittedly contingent on whether Instagram users actually take the time to tag brands in the photos they produce. But potentially a boon for brands who want to bulk up their stream of content with minimal work — all they need to do is feature the best user-generated shots. Interesting, too, considering Instagram’s dust-up last year concerning placing ads against user photos in the future. Last year, when Instagram first tweaked some of its terms-of-service language concerning advertising, everyone freaked out at the thought of, say, having a Geico ad slapped atop their precious baby’s face. So Instagram walked it back a bit to appease the angry mob of users. But Instagram never killed the idea entirely. It basically said, “Sorry for making y’all mad. We’ll come back with a better explanation when it’s time to monetize.” This could be another step in the direction of monetization. 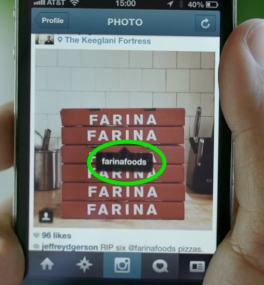 Is a user’s tagging their own photo with a brand’s name a sort of implicit agreement to place ads against it? I don’t know — maybe, maybe not. Another possibility: Maybe ads never come near the Photos of You tab, and perhaps brands ask users if they can share their tagged photos on Facebook, where there are already ad products. Get the permission to incorporate real user-generated Instagram content into an existing Facebook ad product, and you don’t need to worry about slotting ads into the Instagram stream itself. Big idea, that. In other words, this is a move toward growth, discoverability and community first and foremost. But if it actually works, imagine this as a big step toward a future where Instagram could actually be a moneymaker.